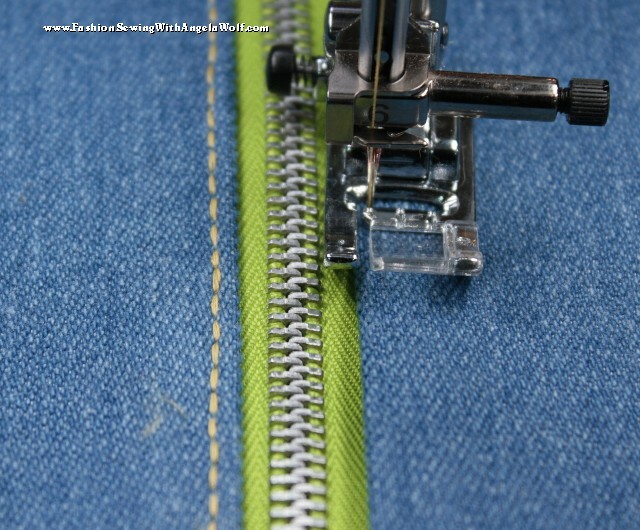 How to Sew Exposed Zippers in Jeans and Jeggings! 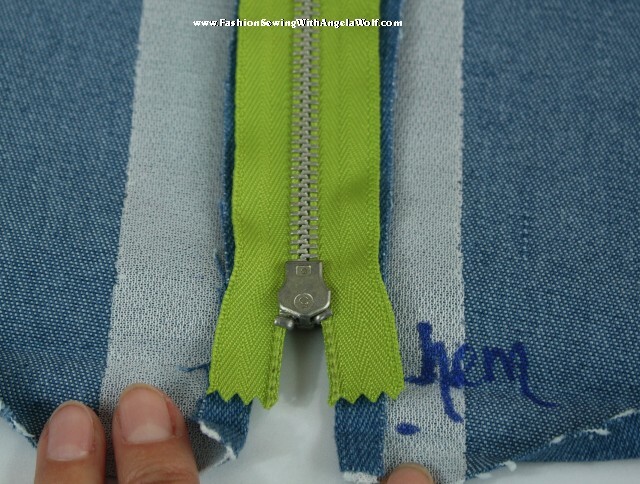 With October’s Wardrobe Challenge including zippers, I thought now would be a good time to share a few easy ways to embellish with exposed zippers. 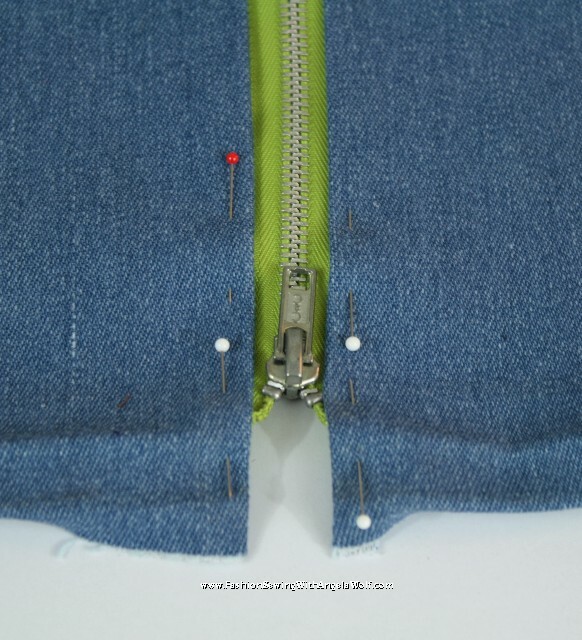 Step 1: On the wrong side of the fabric, mark the center of the pant leg (could be front or back, wherever you want the zipper). 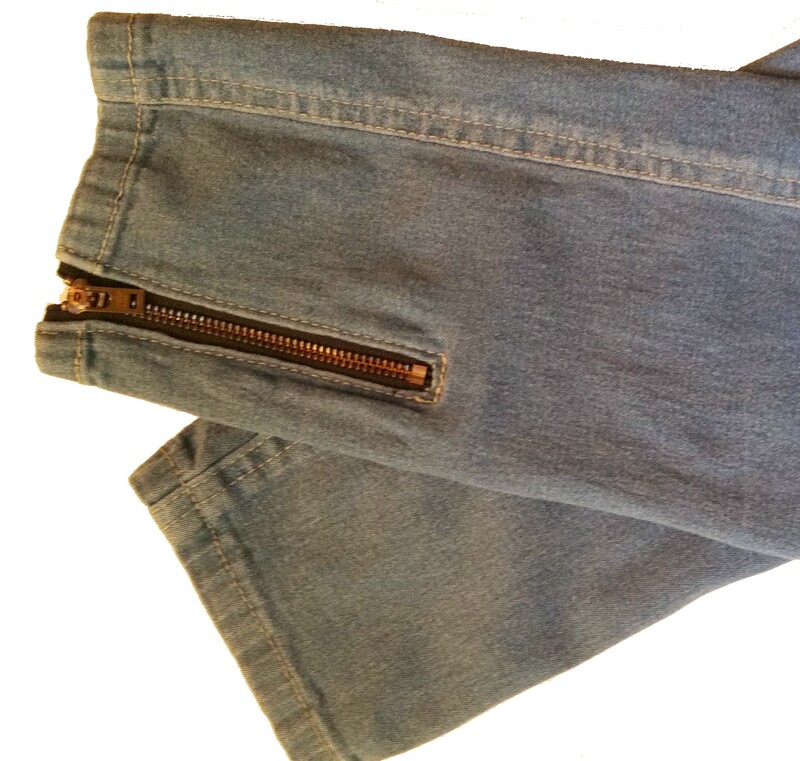 If marking an existing pair of jeans, rip out the hem at least 5″ from each side of new mark. 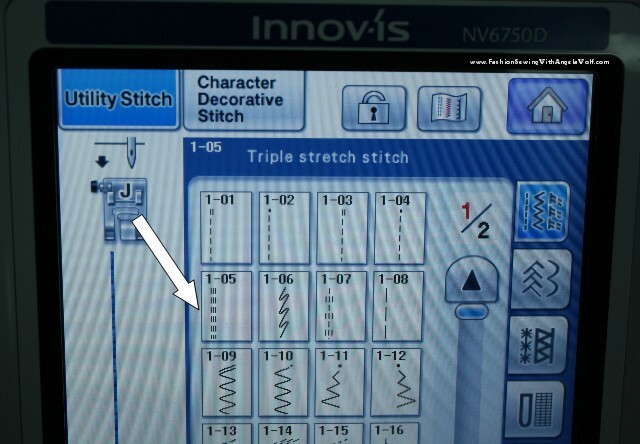 Press the fusible interfacing along the newly marked center line. 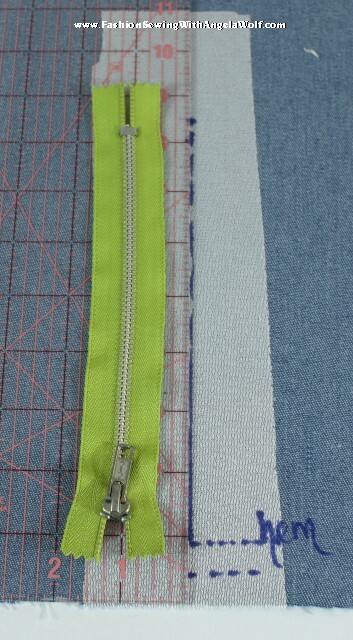 Step 2: Mark the hem, hem allowance, and the length of the zipper opening down center of the pant leg. 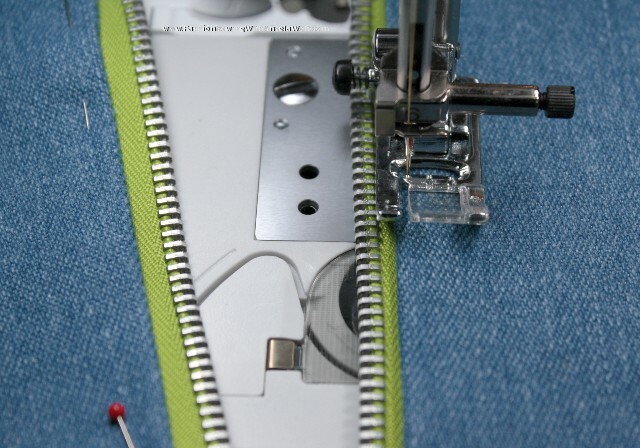 Step 3: Determine the width of the zipper opening (depends on the width of the zipper teeth). 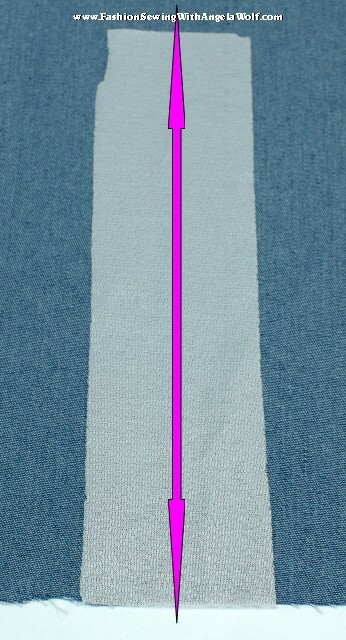 Draw in opening, top edge, and then add a triangle from the center cut line to each corner (as shown above). 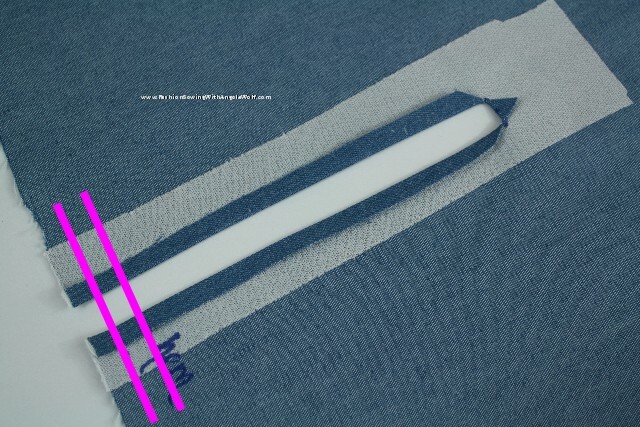 Step 5: Press the seam allowances back and press triangle tip up. 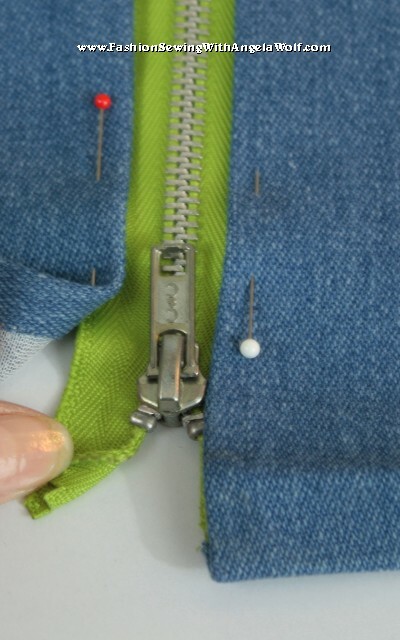 Step 6: Line up the zipper with the metal teeth in the center of the opening. 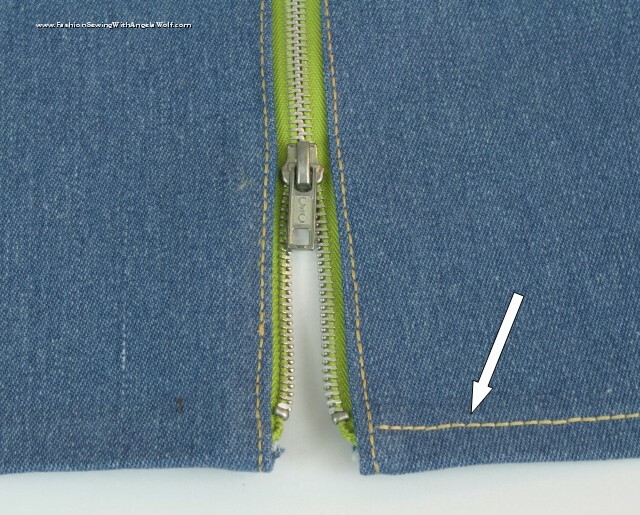 Check the placement of the zipper stop and zipper tab. 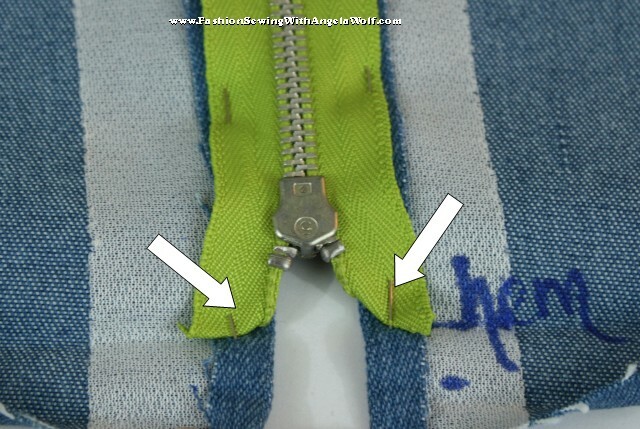 Step 7: Fold back the zipper tape and press in place at the hemline. 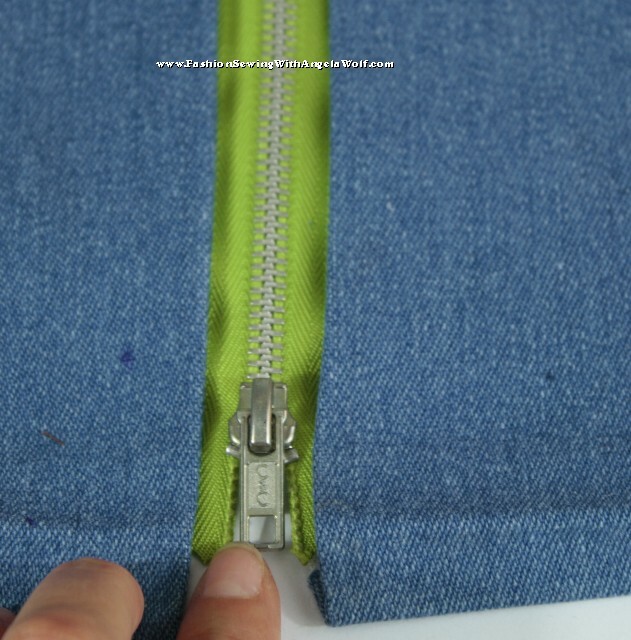 Step 8: Pin zipper in place. 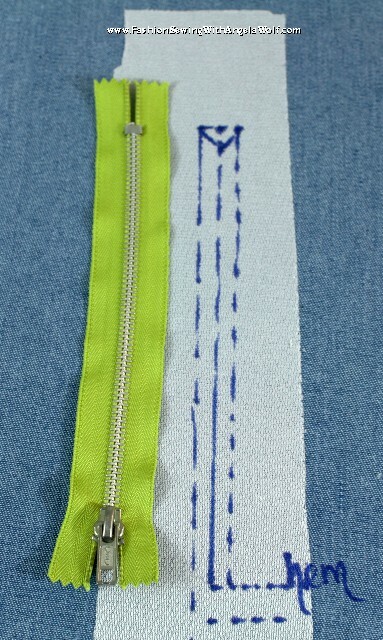 Step 10: Stitch along the edge of the zipper. 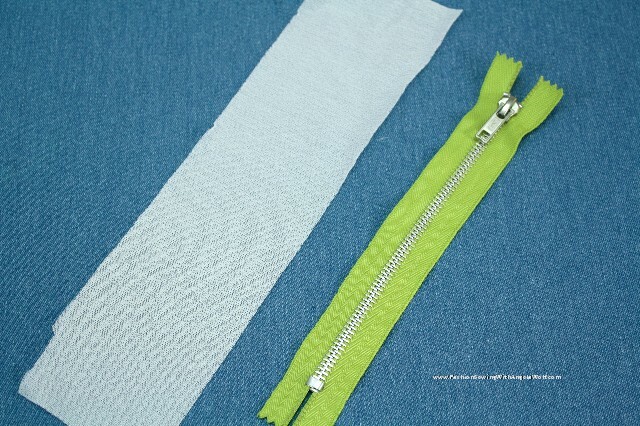 Open and close the zipper as needed in order to get the foot by the zipper tab. 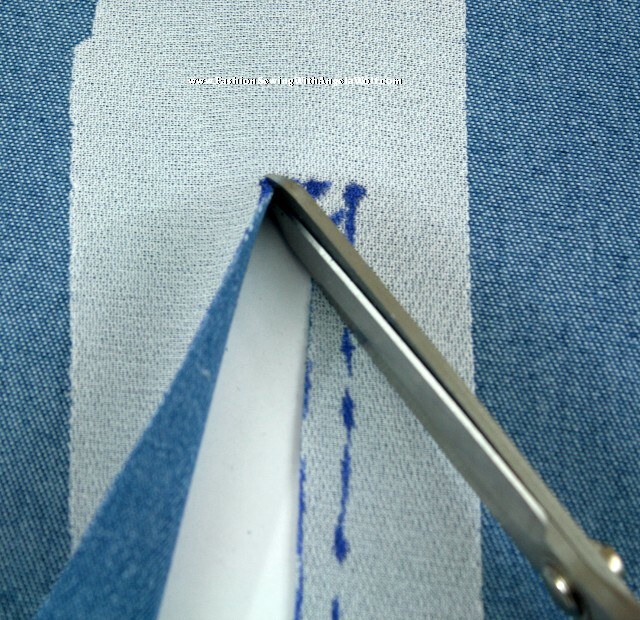 Step 12: Press up the hem with the tailor’s clapper for a crisp crease. 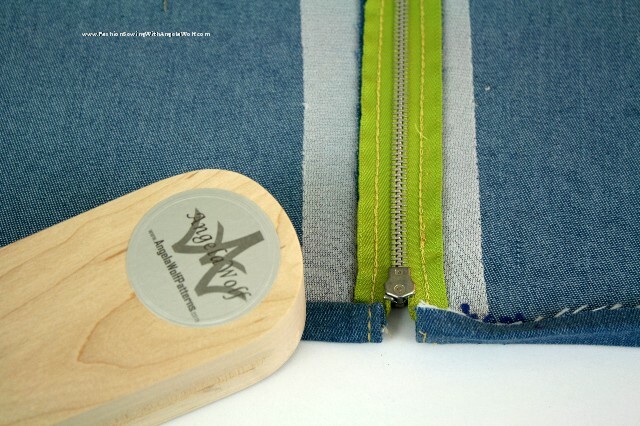 By the way, did I mention WAWAK Sewing is now carrying my tailor’s clapper! Yeah! Step 13: Hem the jeans and move onto the other leg. That’s it! 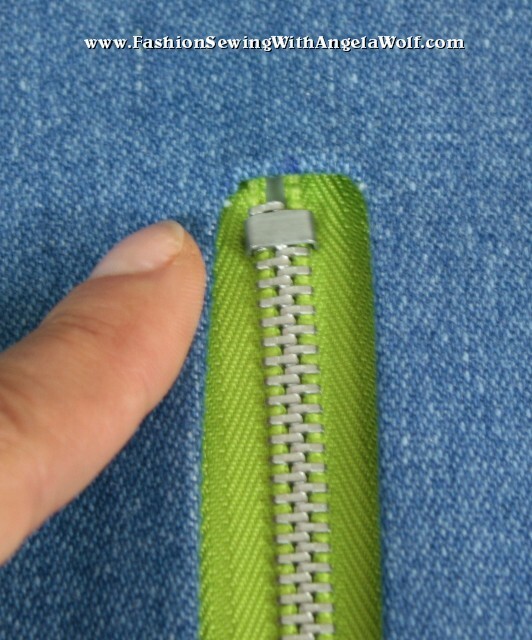 Now this is just one quick, easy way to install a hidden zipper. I will give you some more ideas next time. Thanks Rhonda – you too! How CUTE this would be on sleeves.